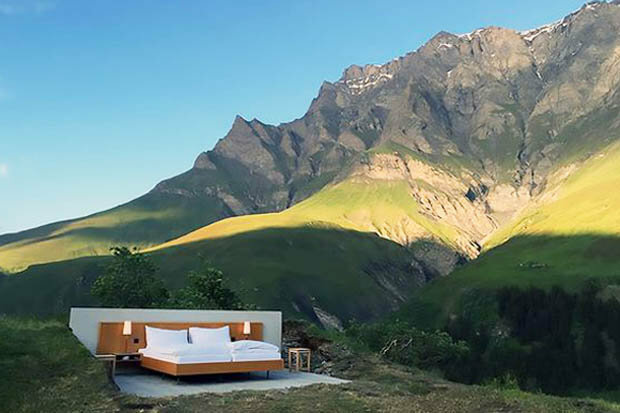 Appenzell, Switzerland – With the opening of their roof-less, wall-less Null Stern Hotel, artist-entrepreneur mans Frank and Patrik Riklin, along with hospitality expert Daniel Charbonnier, have single-handedly turned the idyllic Swiss mountain region of Appenzell into a hot destination. 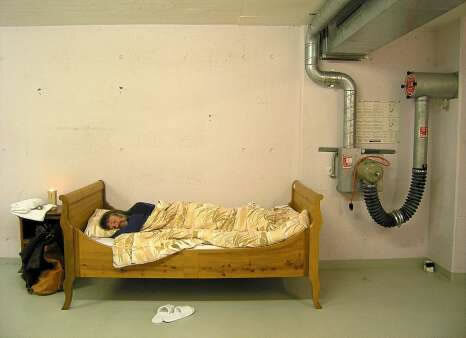 Two guests in the bedroom of the Null-Stern-Hotel, or the Zero-Star-Hotel, which is an art installation. Arnd Wiegmann/Reuters While Reuters’ award-winning photographers are out capturing news events as they happen across the world, they also play witness to some pretty downright wacky stuff. 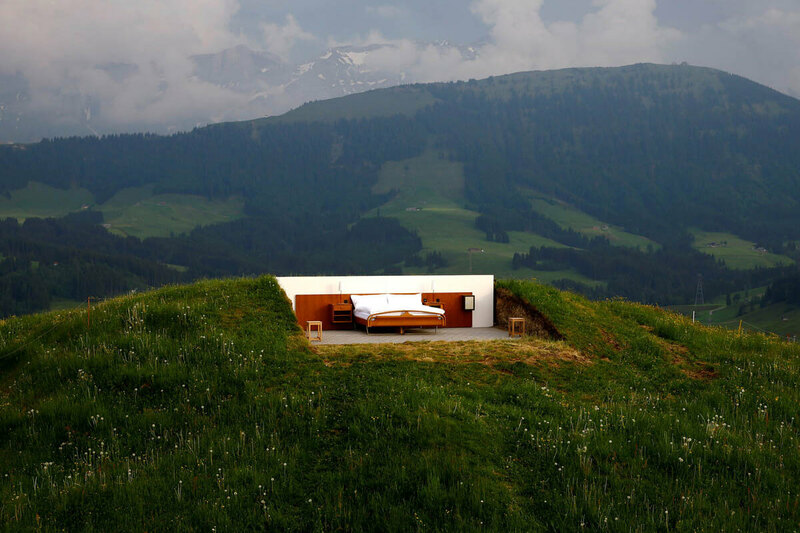 This isn’t the first quirky property from Null Stern founders Frank and Patrik Riklin. The name of the company translates to mean ‘zero stars’.